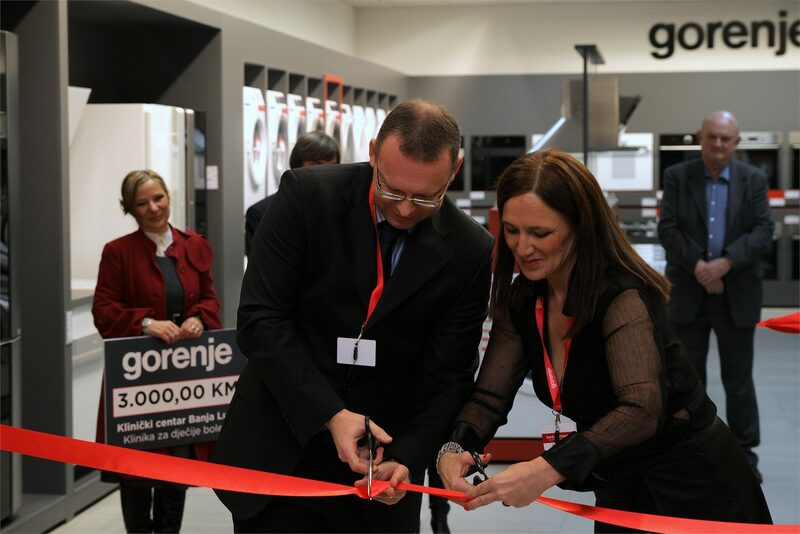 On December 20 2012, Gorenje opened a new Studio Gorenje sales showroom in Banja Luka, making it their fourth in Bosnia and Herzegovina. The showroom, spanning 400 square meters, is located in the Rudi Čajevec trade center. It offers a comprehensive range of large and small home appliances and kitchen furniture of Gorenje and Marles brands. 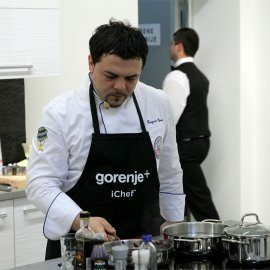 Gorenje is the leading home appliance brand in Bosnia and Herzegovina, holding a 50-percent market share. 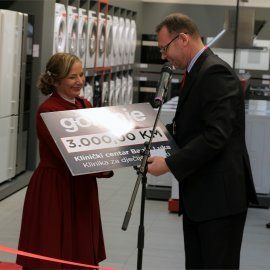 The first Studio Gorenje was opened in this market in 2010 in Sarajevo. This was followed by two more, one in Tuzla in the same year and one in Mostar in 2011. The most recent addition is a part of further pursuit of presence through own retail network in major cities in the country. 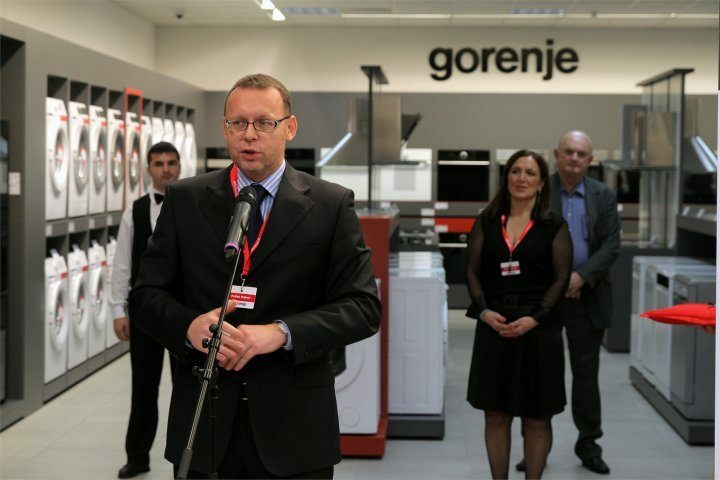 At the opening, managing director of Gorenje's subsidiary in Bosnia and Herzegovina Mr. Robert Polšak stressed he was pleased about the opening. He also presented a donation of EUR 1,500 (KM 3,000) to the Paediatric Department of the Banja Luka Clinical Center. The donation was accepted by Mrs. Zvezdana Rajkovača, Director of Medical Affairs for Conservative Branches at the Clinical Center. She thanked Gorenje, saying that the "donation would bring smiles to the faces of their little patients in the holiday season." Mr. Robert Polšak was then joined by the store manager Mrs. Gordana Džombić in cutting the ribbon. 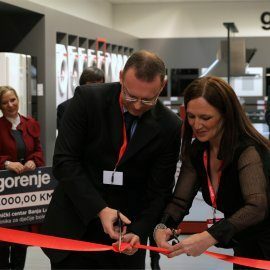 The opening of the Gorenje Studio was also attended by the Banja Luka deputy mayor Mrs. Jasna Brkić, as a special guest. 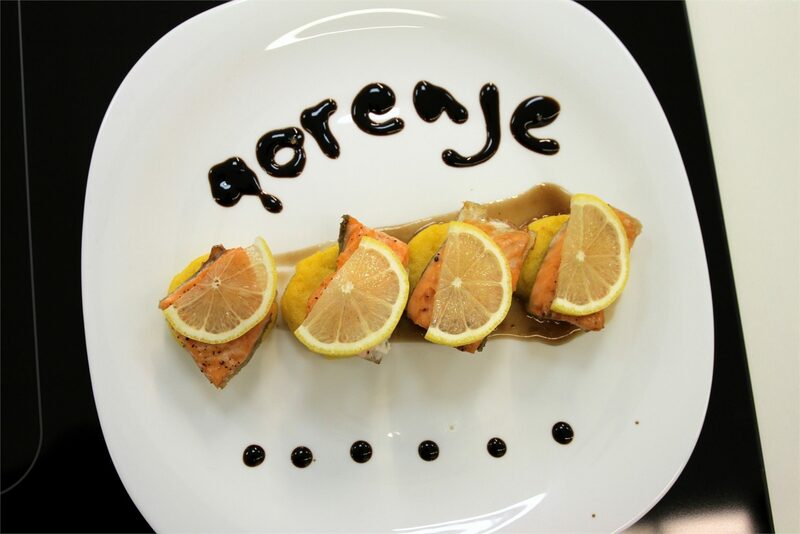 She wished Gorenje a lot of success in their work in the Bosnian market. 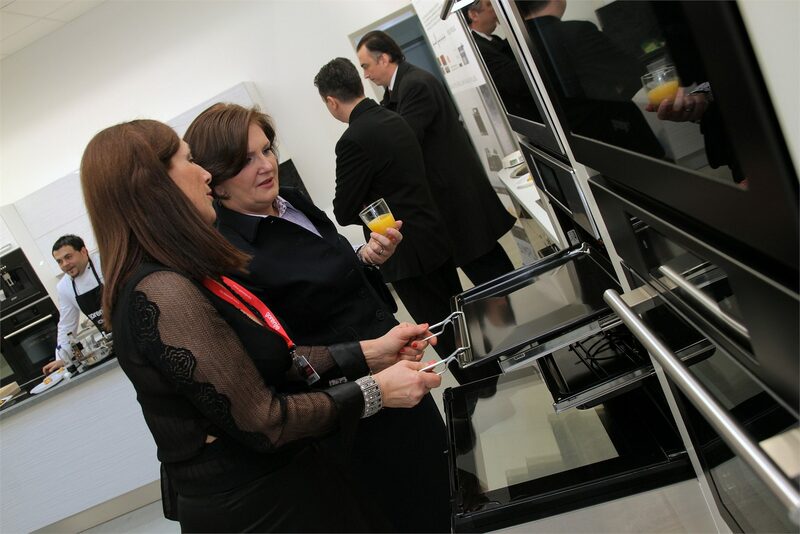 At the opening of the new studio, Gorenje premièred their Gorenje+ brand and the revolutionary IQcook induction hob – the first hob in the world to use a sensor in the lid to control the process of steam cooking. 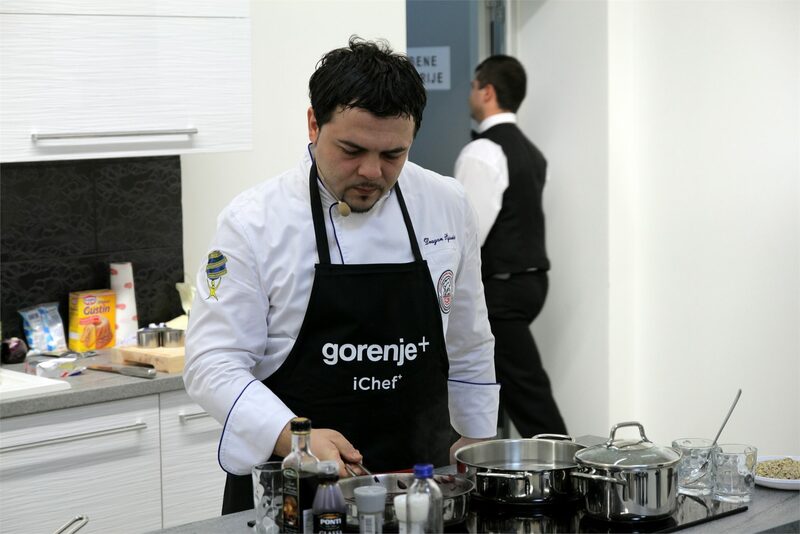 In the demo kitchen, a top Bosnian chef Mr. Dragan Šljivić cooked on Gorenje+ appliances and the IQcook hob. 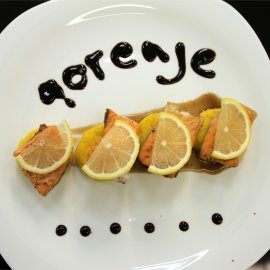 He impressed the audience with his skill and his culinary treats. The youngest visitors were offered a cooking workshop in the children's corner where a Gorenje mini kitchen was set up for them with mini appliances. The kids, joined by entertainers, could also have fun drawing and playing. 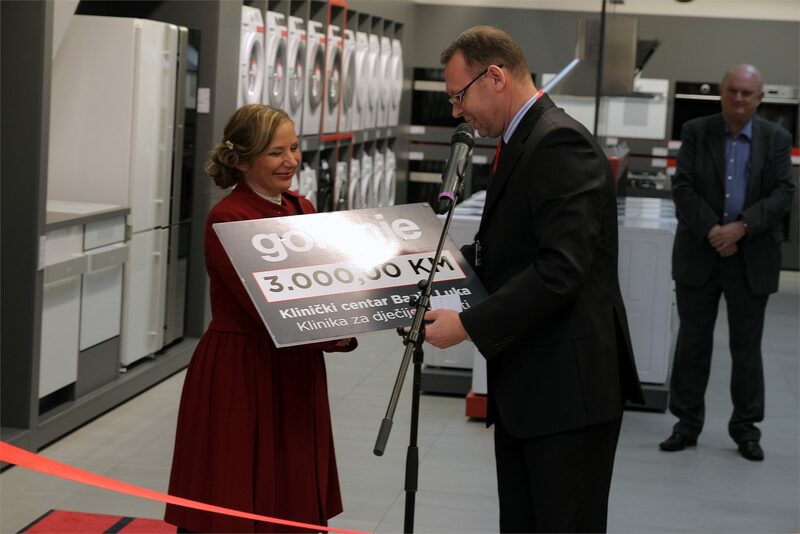 On the opening day of Gorenje Studio in Banja Luka, the customers were made a special offer called Price of the Day.